Quick Flash! 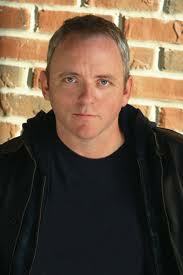 Dennis Lehane's short story "Running Out of Dog" optioned. According to the Hollywood Reporter, Calum deHartog, has just optioned Dennis Lehane's short story "Running Out of Dog" to adapt as a feature film. You can read the short story in Lehane's "Coronado: Stories" collection. The Canadian producer plans to direct the feature film and has fellow Canadian, Tracey Forbes, on board to script the story about a Vietnam vet who returns home and becomes involved in a love triangle. Lehane has a great track record of his books making it to the big screen; he's the author of an impressive list: Shutter Island, Gone Baby Gone, Mystic River, and The Wire. You can learn a little more about Lehane and listen to an mp3 interview at his website.